FRAMINGHAM, MA – April 2nd, 2014 — Beacon Services and White Mountains Insurance of Hanover, NH have successfully completed White Mountains' PeopleSoft 9.2 upgrade. The Upgrade to 9.2 Project at White Mountains Insurance Group (WTM) concluded successfully Monday, 3/31 and WTM is officially live in production in time and as planned for their first quarter close on the upgraded system. WTM upgraded from General Ledger 9.0 and is live on 9.2/image 005. White Mountains is the parent of OneBeacon Insurance (OB), an earlier 9.2 upgrade successthat went live last November. 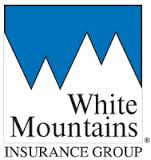 White Mountains Insurance runs PeopleSoft on SQL Server.